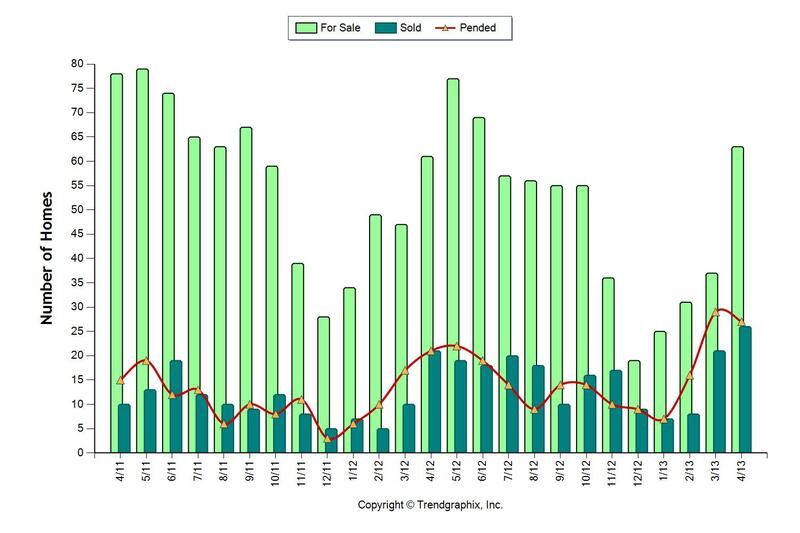 The light green bars are homes that have come on the market. (the inventory) The red line is the number of homes going into contract, which dipped a bit in April. So what does this mean to you? I predict the wild bidding wars will quiet for higher end homes, at least for the time being.